Electrification may be the future, but some places show better growth than others. Here, the steps being taken can be deemed small and slow, with hybrids and plug-in hybrids remaining a trickle in the larger scheme of things, and full electric vehicles very much still a rarity. Cost is the biggest hurdle, of course, but as is the case just about everywhere, government assistance is key to growth. Locally, policies and initiatives haven’t been always been clearly and consistently defined, which is why the mention of one a couple of days ago came as bit of a surprise. Speaking at the Dewan Rakyat, deputy transport minister Datuk Kamaruddin Jaffar said the government has always encouraged the use of vehicles using green technology by promoting various initiatives, and among these are a 50% reduction in road tax for full-electric and plug-in hybrid vehicles (PHEV), as Bernama reports. The report wasn’t all that clear about whether this is a proposal or something that is being considered. For sure, it’s not reality, because no such relief is in place, at least not for PHEVs. Currently, all PHEVs registered in Malaysia do not enjoy any such halving of their road tax, paying the going rate based on regular displacement calculations. 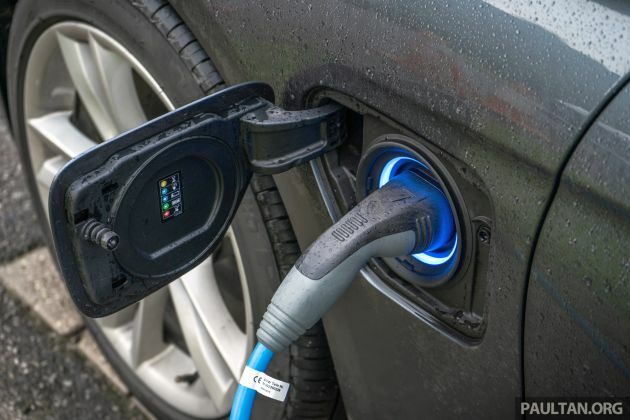 Electric vehicles do “enjoy” some relief in road tax at present, but this is more of it being a result of a technical loophole, as we reported last month. For example, the Renault Zoe currently pays RM28 in road tax when it should be paying RM56, if it was based on the set of motor kilowatt output-based calculations that were drafted for EVs back in 2011. The half-rate is the result of traditional engine cc displacement being used to calculate the road tax, where the rates for EVs were previously keyed in under the cc category during the vehicle registration as a matter of familiarity. This will change at some point, and that 50% reduction will go as a result to the switch to kilowatt-based input and calculations. In related news, Kamarudin revealed the number of EVs and PHEVs that were currently on Malaysian roads. Replying to a question by Senator Datuk Seri Khairuddin Samad on the number of vehicles registered with the transport ministry, he said a total of 5,403 electric cars and 46,981 plug-in hybrid vehicles were registered as at March 31 this year. 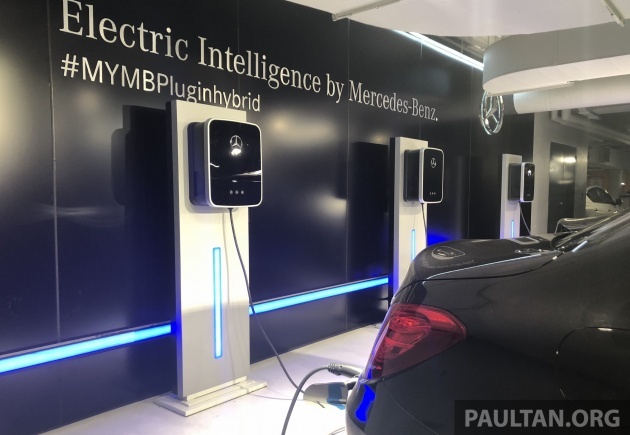 “Of the total, Selangor recorded the highest number of registered electric cars at 2,791, while Federal Territory recorded the highest number of hybrid cars at 25,360,” he said. According to reports, Nissan is set to reject a management integration proposal from alliance partner and major shareholder Renault. The Japanese carmaker will also call for an equal capital relationship to replace the current lopsided one. According to Japan’s Nikkei, citing sources, Nissan’s management feels the company has not been treated as an equal of Renault under existing capital ties, and a merger would make this inequality permanent. This has previously been cited as the contentious issue that got former Renault-Nissan-Mitsubishi Alliance chief Carlos Ghosn into the trouble he’s in now. Facing charges in Japan, Ghosn insists that he’s a victim of a boardroom coup and “backstabbing” by Nissan executives opposed to closer ties with Renault. Nissan CEO Hiroto Saikawa declined to comment. “Now is not the time to think of such things. At the moment we are focused on improving Nissan’s earnings performance. Please give us time to do that,” he said. Renault has also declined to comment on the Nikkei report. It’s easy to see why there’s tension between Nissan and Renault despite both carmakers profiting from the marriage. The alliance started when Renault saved Nissan from the brink of bankruptcy in 1999, by buying a 36.8% stake in the Japanese company. Later, this was bumped up to 44.4%, and Nissan reciprocated by buying 15% of Renault shares. Renault, which counts the French government as a major shareholder, sits on the Nissan board. Nissan’s 15% stake in Renault is without voting rights. The shareholding is not very equal, and that’s before taking into account that Nissan is now the larger and more profitable carmaker than Renault. If this were a human relationship, Renault swooped in and provided support at a moment of weakness from Nissan, and has profited handsomely from its spouse’s success since then. It wants more. According to Nikkei, Renault has argued in its proposal that an integration would maximise synergies within the alliance. The Financial Times reported last month of Renault’s intention to restart merger talks with Nissan within 12 months. So, besides the Ghosn case playing out in court, expect a Franco-Japanese corporate wrestling match happening concurrently. What will Nissan do to get its way? Why would Renault (and France) give up its upper hand? It’ll be interesting to watch. Meanwhile, hear what the man in the middle of the war – Carlos Ghosn – has to say in the video above. The 2019 Nissan X-Trail facelift is now officially on sale, with four variants and three engine configurations to choose from. The 2.0L and 2.0L Mid both share the MR20DD 2.0 litre four-cylinder petrol engine, making 144 PS and 200 Nm of torque. The 2.5L 4WD makes 171 PS and 233 Nm of torque, whereas the 2.0L Hybrid combines the same MR20DD 2.0 litre engine that’s married to a 41 PS/160 Nm electric motor. Xtronic CVT is standard for all models. By now, one of the few curiosities you may have is, how do they actually stack up against each other? Is the Hybrid really the quickest of the bunch, as per Nissan’s claims? Well, in the video above, we put all three side by side in a drag race to find out. To recap, the new X-Trail range is priced from RM134k to RM160k. All models are EEV-certified, and included in the price is a five-year unlimited mileage warranty programme. In the case of the 2.0 Hybrid, it also covers hybrid parts and the lithium-ion battery. You may also watch our walk-around video, as well as a detailed look at the new Nissan Intelligent Mobility system. The W213-generation Mercedes-AMG E 63 4Matic+ is the first of its lineage to adopt all-wheel-drive – as denoted by the 4Matic+ suffix in its full name – in order to effectively harness the 612 hp and 850 Nm outputs (in S guise) from its M178 4.0 litre biturbo V8 engine. This powertrain is expected to remain in the facelift, though likely with some output growth. 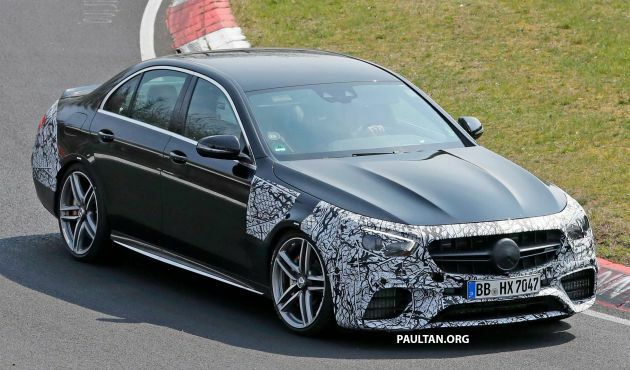 Don’t be fooled by the lamp disguise – particularly at the rear – in the development vehicle spotted on tests, because the W213 E63 and corresponding mainstream models are expected to adopt the newer-style, sharper-looking units as seen on the sleeker-roofed CLS for its mid-lifecycle update. 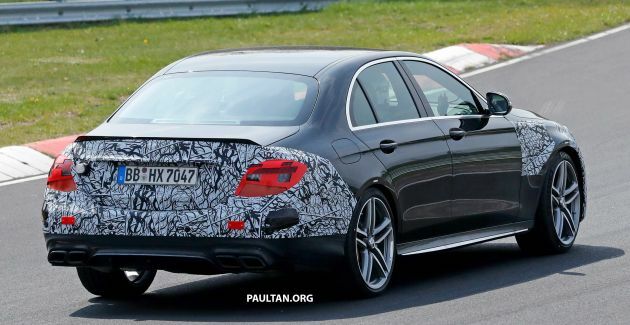 Here, the E63 continues to get AMG-specific identifiers such as deeper front bumpers with large air intakes. The intakes themselves appear similar to the pre-facelift, and the changes are likely to be further along the bumper, fenders and grille surround. Most of the car’s side profile appears intact, with the character line looking unchanged, while camouflage foil along the boot lid and aforementioned tail lamps, as well as bumper indicate the likely locations of visual updates. No current images of the E63 interior just yet, though the latest of running changes are set to continue through here, and without the latest MBUX interface which requires a different electrical architecture. The driver should continue to have a selection of multiple drive modes at his or her disposal, with the AMG Dynamic Select programming expected to continue to offer a range of presets from comfort-oriented to performance-focused ones. Similar driveline hardware should also mean Drift Mode will continue to feature here, which allows the de-coupling of the front driveshafts for good old-fashioned RWD skids. This is the Aston Martin DBS Superleggera Volante, the convertible version of the RM2.88 million hardtop DBS Superleggera that we saw in Malaysia last month. A beautiful drop top version of AM’s flagship coupe – what’s not to like? “DBS Superleggera produces a spectacular and relentless level of performance and so for the Volante, we focussed on bringing that extra level of sensory overload that only an open-top Super GT can deliver inside the cabin,” said executive VP and chief creative officer Marek Reichman. Let’s start with a Volante’s defining feature: the roof. Incorporating eight layers of insulation materials and acoustically enhancing materials, the fabric top greatly improves the comfort of the interior cabin for all occupants when up, but allows a true orchestra of sound to pour into the cabin when retracted, Aston says. With a class-leading stack height of 260 mm for the car’s folded roof, the Volante maintains a smooth rear profile and maximised luggage capacity. The roof takes 14 seconds to open and 16 seconds to close, and can be operated from inside or from the key fob within a two-metre radius. We rarely come across convertible roof durability claims, but Aston says that the soft top here was exposed to conditions as extreme as the heat of Death Valley and the extremities of the Arctic Circle during development; and the roof mechanism has been put through more than 100,000 cycles, simulating 10 years of usage into a one-month test. The hood is available in eight colours including Bordeaux Red, Atlantic Blue and Titan Grey. It can be further personalised on the inside with six Rokona headliners. For the first time on an AM Volante model, the window screen surround is available with a 2×2 twill carbon fibre finish, with the option to continue that theme to the car’s tonneau cover and rear waterfall. Tinted CF is also possible. Roof aside, there have been subtle bodywork changes to extract maximum downforce. At the front, the car’s splitter and airdam work in unison, accelerating airflow underneath the front of the car to deliver downforce and assist cooling by feeding air to the front brakes. The new deeper side strake draws more air from the front wheel arch to reduce lift and aid stability. Behind the front wheels, the “curlicue” allows air to escape and flow smoothly along the car’s flanks, while the double diffuser at the rear allows air to exit cleanly and neutralise lift as efficiently as possible. A revised iteration of the Aeroblade ll system, to accommodate the Volante’s clothed roofline, continues to deliver additional downforce at the car’s rear. Aston says that at max speed, the DBS Superleggera Volante produces 177 kg of downforce, just three kg less than the coupe. Powered is by Aston Martin’s own 5.2 litre twin-turbo V12 with 715 hp and 900 Nm of torque, which is fed via a carbon-fibre prop shaft to a ZF eight-speed automatic transmission mounted at the rear of the car. 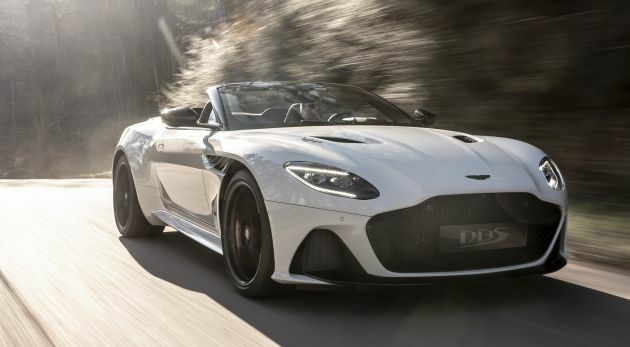 At 1,863 kg (50:50 distribution), the Volante is 170 kg heavier than the DBS Superleggera, and 0-100 km/h is two tenths slower at 3.6 seconds. 0-100 mph (0-160 km/h) is done in 6.7 seconds, 0.3s slower than the coupe. Top speed is 340 km/h. Each dynamic driving mode brings its own level of noise. In GT mode, the engine note simmers, but select Sport or Sport Plus and the acoustics become progressively more intense. 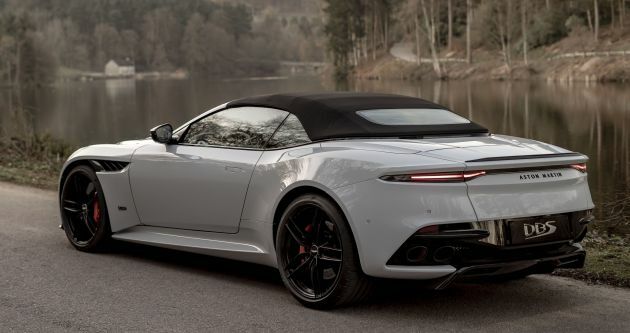 Conversely, when you wish to be discreet, a “quiet start” offers a low-key alternative to DBS Superleggera Volante’s flare of revs on start-up. 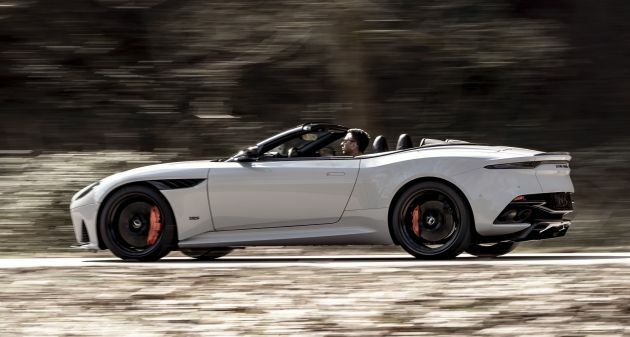 Equipped with a quad exhaust system, the DBS Superleggera Volante delivers a “pure, harmonic and authentic voice, unmatched by its rivals,” Aston Martin claims. Chances are, you’re probably reading this from a touchscreen, a technology that has become commonplace for urban folk at least. Automakers are heading that way with car interiors as well, among them the Tesla Model S with its portrait-oriented display located on its centre console controlling infotainment and vehicular functions. Jaguar design chief, Ian Callum however isn’t so keen on the idea, as Bloomberg reports. “Not if I can help it,” Callum responded to whether Jaguar would install large, iPad-like screens in its cars. “If you’re driving 80-90 miles an hour (128-144 km/h), and you can in some countries, legally, you don’t want to be flipping around an iPad looking to move your door mirrors or your seat controls. You need to be able to feel your way through the car without looking at it for more than a millisecond,” he said. 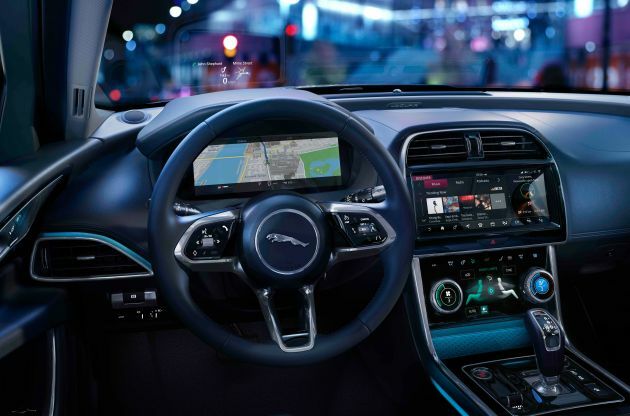 The updated Jaguar XE (interior pictured above) uses a dual-screen layout on its centre console, where infotainment resides on the higher rung and climate controls sit below it, the latter with tactile controls to give drivers a sense of being part of something mechanical, the report quoted Callum as saying. What say you, dear readers? Are touchscreens the way forward for cleaner-looking, tidier dashboards, or do you prefer more traditional hardware? The 2019 Proton Persona facelift has just been launched here at the Kuala Lumpur Convention Centre, nearly two months after Proton released the first set of official photos. As before, four variants are on offer, starting with the Standard MT (RM42,600), Standard CVT (RM44,600), Executive CVT (RM49,600), and Premium CVT (RM54,600). Mind you, prices are lower by RM5,000 compared to the 2016 launch, so there’s that. 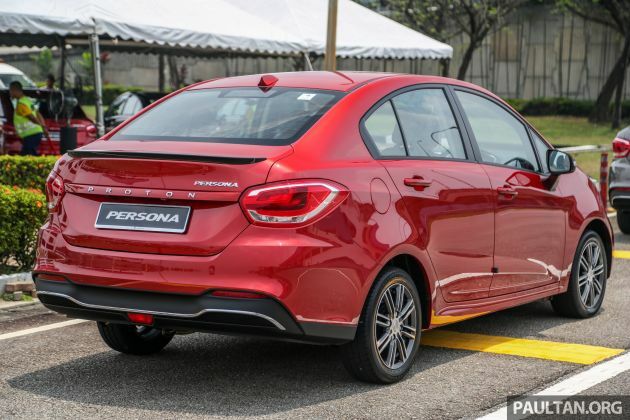 According to Proton, there’s approximately 303 changes done to the Persona, so let’s dive straight into it. 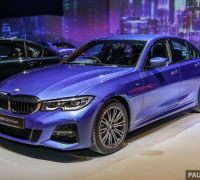 The exterior revisions are pretty significant – it now features a new sweeping chrome trim up front that spans across the entire width of the car. Proton calls this the “Ethereal Bow” design, which wraps under the grille. Of course, the new grille also features the familiar “Infinite Weave” pattern we first saw on the X70 SUV. The headlights are carried over from before, but only the Executive and Premium models get LED daytime running lights (in place of the fog lamps). Follow-me-home lights are also available on the two, however the latter is the only one to get auto headlamps. Further down, the lower grille appears slimmer, with larger air intakes. A slim gloss black strip ties it all nicely together. 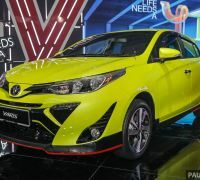 At the rear, it gets a revised bumper with a slim chrome strip, plus a new rear bootlid garnish with the Proton script. This, plus the shark fin antenna, are standard across all models. A new set of nicer-looking silver 15-inch (same size as before) multi-spoke alloy wheels (Premium gets a two-tone finish) complete the look – the new design also fills up the arches better. Features such as electric door mirrors with auto fold, as well as remote boot release are unique to the Executive and Premium only. The existing selection of six colours have all been dropped. 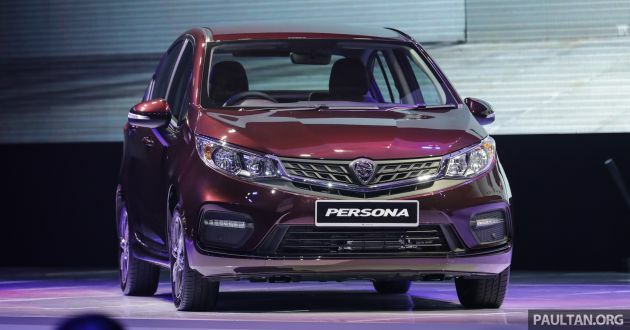 Instead, only five colours will be offered – Jet Grey, Snow White, Ruby Red, Rosewood Maroon and Armour Silver, and all colours are from Geely’s colour palette, except Ruby Red which is a Proton hue. Inside, the Persona black and beige colour scheme is retained. 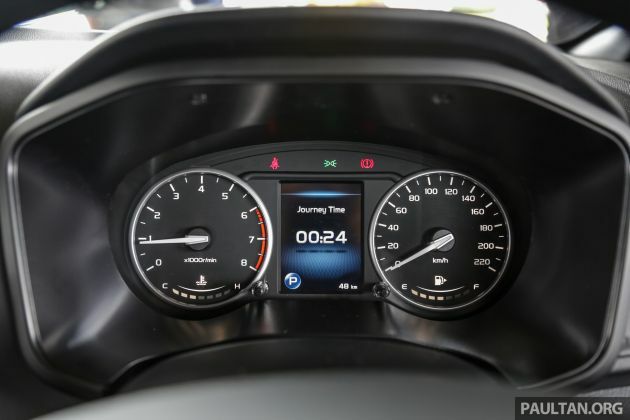 There’s a new part-leather upholstery, auto up/down for driver’s side window (previously only auto down; Executive and Premium only), and like the Iriz facelift, the Persona has a new instrument cluster with cleaner dials and a large colour multi-info display (Executive and Premium only). For kit, Standard and Executive models get urethane steering wheel (Executive is still urethane, but comes with multifunction controls), although items like LCD multi-info display, double-DIN audio head unit with Bluetooth connectivity, two front speakers, and fabric upholstery are for Standard models only. On the plus side, all models get three USB ports – one for data transfer, and two at the rear section of the centre console for charging mobile devices. As for the Executive model, it gets the new seven-inch touchscreen head unit with Bluetooth and smartphone pairing functions, as well as four speakers. 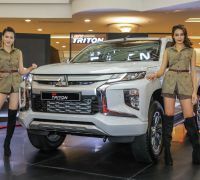 The top Premium model is the only one to get the same “Hi Proton” voice control function as the X70 (minus a few commands for some of the vehicle features), as well as internet connectivity via a built-in eSIM, which Proton says is a first for the segment. Additional features that are bundled with the advanced head unit include online music streaming and online navigation. Of course, this comes with a five-year data package (1GB monthly), as per the X70. Elsewhere, the Executive and Premium both share keyless entry with push-start, and part leather part fabric seats (with 60:40 split fold; the Standard models don’t have split folding feature). Also, the Premium is the only model to get the new frameless rear view mirror and new X70 gearknob (complete with a leather boot). 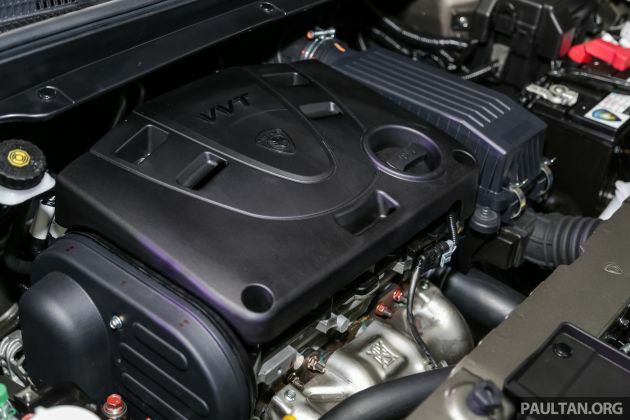 Under the bonnet, the same 1.6 litre VVT four-cylinder petrol engine is unchanged from before. It produces 107 hp at 5,750 rpm and 150 Nm of torque at 4,000 rpm, paired to either a five-speed manual gearbox or a CVT. 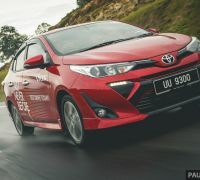 Proton says that the CVT has been recalibrated to reduce fuel consumption by three to four percent, and changes have also been made to achieve improved braking performance and refinement. Lastly, safety. The bones are unchanged, so all models get a five-star ASEAN NCAP crash safety rating. Dual SRS airbags are standard (only the Premium gets six airbags), as are rear seat Isofix with top tether anchorage, ABS with EBD, ESC, Brake Assist, Traction Control System, Hill Hold Assist, and dual front and rear parking sensors. The Executive and Premium add on reverse camera with dynamic lines. To recap, prices start from RM42,600 to RM54,600 (OTR sans insurance), and included in the price is a five-year 150,000 km mileage warranty. 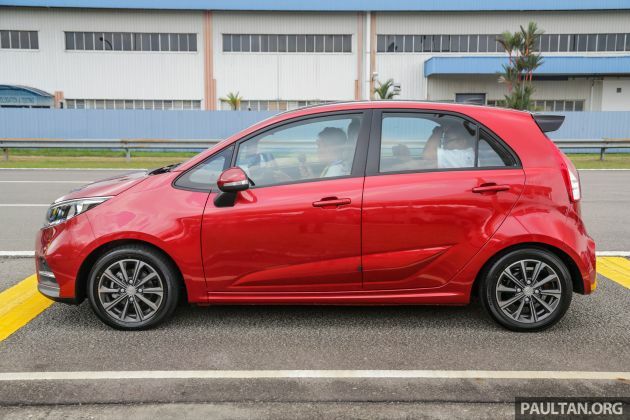 Also, Proton is offering a service package (free labour for three service visits), two-year free road tax for the first 1,000 customers, as well as low financing rate of 2.93% per annum for both the Persona and Iriz. That’s not all – Proton is also throwing in an insurance package which includes coverage for all drivers at no extra cost, flood relief allowance of up to RM1,000, Key Care Cover (up to RM1,000), agreed value coverage (up to 12 years), as well as insurance for policy holder (up to RM15,000). You may read our first impressions review of the updated Proton Persona here. Also, we’ve prepared a spec-by-spec list of all four variants, plus a video review of the Persona Premium CVT, below. Browse full specification and equipment of all Proton Persona variants on CarBase.my. 32 comments | Leave a comment? Hello everyone! We’re at the Kuala Lumpur Convention Centre where Proton has just launched the facelifted Iriz hatch and Persona sedan. 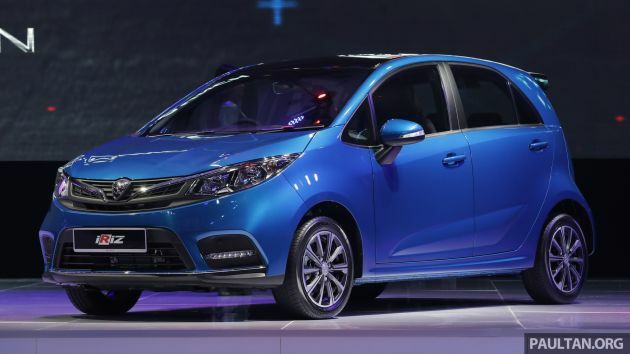 Here, we’re concentrating on the Iriz, which receives a multitude of new features and improvements – amounting to a total of 367 changes – wrapped in a fairly substantial redesign. We’ll start with the one piece of information you’ve all been waiting for, and that’s the price. 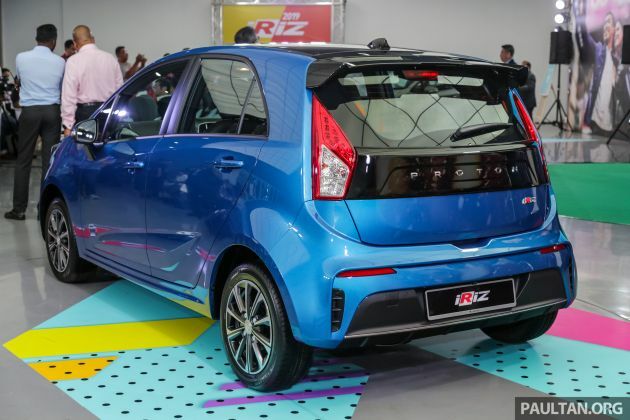 In a surprise turn of events, the new Iriz range kicks off around RM3,700 cheaper than before – despite the addition of around RM1,400 worth of upgrades and added kit, according to Proton – at RM36,700 for the 1.3 Standard MT, rising to RM39,700 (down RM1.1k) for the CVT version and RM44,700 (down RM1.7k) for the 1.3 Executive CVT. The facelift sees the reintroduction of the RM46,700 1.6 Executive CVT variant, which was discontinued in 2016, while the range-topping 1.6 Premium CVT goes for RM50,700 (down RM4.1k). All prices are on-the-road without insurance, inclusive of an unchanged five-year/150,000 km warranty. With that out of the way, let’s continue to the most striking change – the exterior design. The entire front end has been given a revamp, with the Iriz now sporting the Persona’s reflector halogen headlights (projectors previously), joined together by a full-width chrome strip. This strip has what Proton calls an “Ethereal Bow” design, with a scalloped centre section that goes under the badge. Elsewhere, the upper grille gets a subtle Infinite Weave pattern that was first introduced on the X70 SUV, while the lower grille is now much smaller, flanked by larger fake air intakes (with LED daytime running lights on all but the base Standard variant). The front lip spoiler is finished in matte black with a chrome strip. Moving to the rear of the car, there’s now a gloss black strip that joins the tail lights, complete with the Proton script that replaces the shield-shaped badge. The bumper gets a larger diffuser with the same chrome trim as the front, framed by fake air vents. New 15-inch two-tone alloy wheels on the Executive and Premium models (the latter also gets a black roof) complete the look. Inside, the changes are fewer but no less significant, with the addition of black headlining and – on the Premium variant – a frameless rear-view mirror and a black-and-silver gearknob from the X70. There’s also a redesigned instrument cluster with clearer, more legible silver-ringed dials and a colour multi-info display on the Executive and Premium models. These variants also gain a new infotainment system with a seven-inch touchscreen – a version of the Geely’s Global Key User Interface (GKUI) found on the X70, developed in partnership with Chinese tech company ECARX. 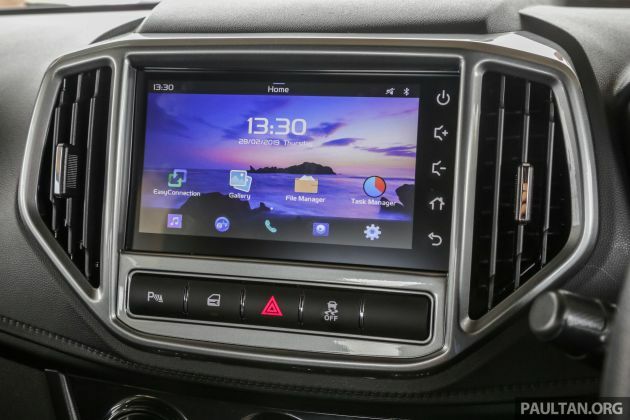 The Premium model gets 4G connectivity (1GB free per month for five years) that adds the “Hi Proton” voice control, online music streaming and live navigation data, plus a WiFi hotspot for your devices. In terms of equipment, the 1.3 Standard model now has a shark fin antenna, a rear wiper and front parking sensors, joining a kit list that includes 14-inch alloy wheels, LED tail lights, fabric seats, a Bluetooth-enabled 2-DIN radio/CD head unit, twin rear USB ports, two speakers and reverse sensors. The 1.3 Executive variant adds automatic headlights and an auto up/down driver’s side window – items that were removed during the 2016 product update – along with keyless entry, push-button start, a reverse camera with dynamic guidelines and four speakers. The 1.6 litre version gains auto-folding door mirrors, another reinstated feature. Safety kit remains unchanged, with dual airbags, ABS with EBD and brake assist, stability control, hill start assist and rear ISOFIX child seat anchors being standard fare. Only the Premium model gains side and curtain airbags for a total of six airbags, and autonomous emergency braking is still nowhere to be found. Also unchanged are the engines, which consist of two VVT naturally-aspirated petrol engines. The 1.3 litre version produces 95 PS at 5,750 rpm and 120 Nm of torque at 4,000 rpm, while the 1.6 litre unit bumps those figures to 109 PS and 150 Nm. An improved CVT – which has been worked on to improve response and fuel efficiency, combining its learnings with Geely’s – is fitted across the range, with the Standard model also getting the option of a five-speed manual gearbox. Changes have also been made to enhance braking performance, improve build quality and reduce noise, vibration and harshness. 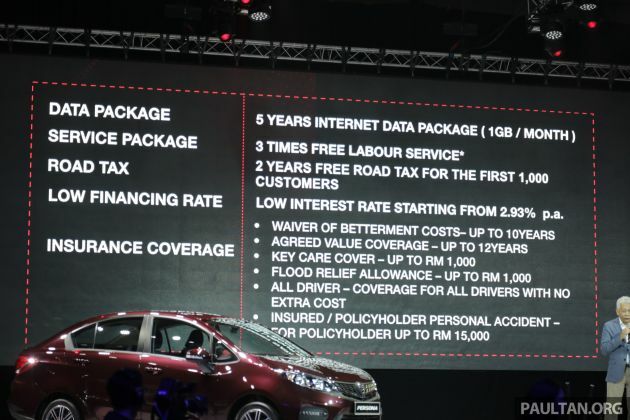 To sweeten the deal, Proton is throwing in a few extra goodies, including free labour for the first three scheduled services, financing interest rates starting from 2.93% per annum and two years’ free road tax (the latter for the first 1,000 customers). The company is also offering benefits in terms of insurance coverage, such as a waiver of betterment for up to 10 years, agreed value coverage for up to 12 years, key care coverage of up to RM1,000, a flood relief allowance of up to RM1,000, personal accident coverage for policyholders and insured drivers of up to RM15,000 and coverage for all drivers at no extra cost. As for colours, the existing Ruby Red paint joins a new colour palette that includes the Ocean Blue hero colour, Snow White, Armour Silver and Jet Grey – the last three hues are lifted from the X70. You can read our first drive review and browse full specifications and equipment on CarBase.my. 31 comments | Leave a comment? 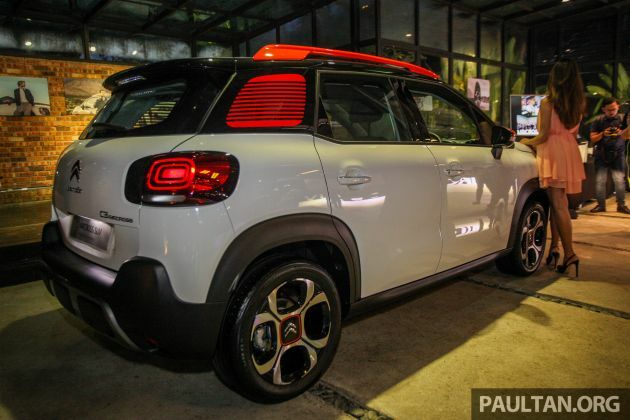 Following its preview at the end of last year, the Citroen C3 Aircross has now officially made its Malaysian debut. 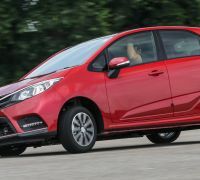 Available in a single variant, at a price of RM115,888 on-the-road excluding insurance, it enters the B-segment SUV class alongside its French compatriots, the Peugeot 2008 and the Renault Captur, which are already present in the Malaysian market. The C3 Aircross, which measures in at 4.15 metres long, 2.0 metres wide and 1.64 metres tall, with a 2.6 metre-long wheelbase, has the same powertrain as that seen at its preview last November. 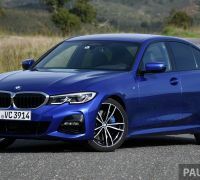 The unit in question is a 1.2 litre three-cylinder PureTech turbocharged petrol engine, which produces 112 PS at 5,500 rpm and 205 Nm of torque from 1,500 rpm. Power is sent to the front wheels through a six-speed automatic gearbox. Fuel consumption is rated at 5.3 l/100 km on the NEDC cycle. Thus equipped, the C3 Aircross manages the 0-100 km/h sprint in 10.4 second and a top speed of 200 km/h. Safety equipment for the car comprises electronic stability programming, electronic brake force distribution, brake assist and ABS, as well as six airbags. A rear view camera and rear parking sensor aids manoeuvres in tight quarters. Inside, the B-segment crossover seats five, and the rear accommodation features a tilt-and-side rear bench with 60:40 split folding. Boot space is 410 litres with the rear seats in place, or 520 litres with the rear seats adjusted to the front and the two-step boot floor lowered. For child seats, there are two Isofix anchor points for the outer rear seats. 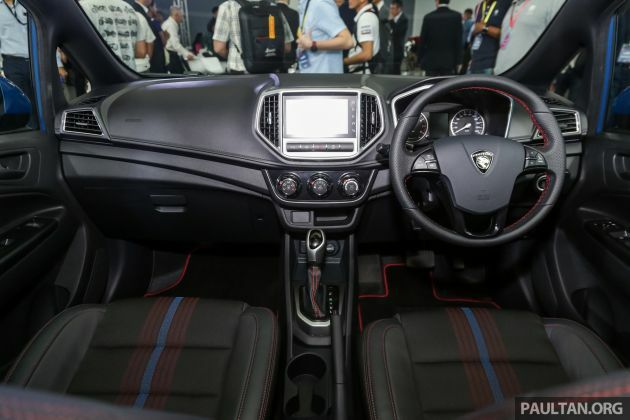 Interior equipment also includes keyless entry and push-button start, a multi-function steering wheel, fabric-upholstered seats, auto air-conditioning, programmable cruise control and speed limiter, a seven-inch Touch-drive interface with Mirror Link, navigation, Android Auto and Apple CarPlay connectivity. Device connection points include a pair of 12-volt sockets and one USB port. For the exterior, the kit list includes halogen headlamps with LED daytime running lights at the front end, with 3D-effect tail lamps at the rear and 17-inch ‘4ever’ two-tone alloy wheels comprising the exterior equipment. Four exterior colours are available for the C3 Aircross – Soft Sand, Natural White, Passion Red and Breathing Blue. The red and blue paint schemes are paired with gloss black accents on the side mirror caps, headlamps surrounds and roof rails, while Soft Sand and Natural White has orange paint applied to the aforementioned exterior items. Citroen distributor Naza Euro Motors is offering a three-year free service package for the first 100 units of the Citroen C3 Aircross SUV purchased, as part of its celebration of the French marque’s 100th anniversary. 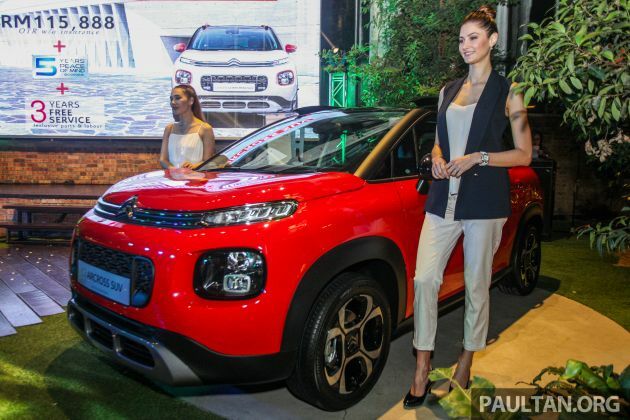 As standard, the C3 Aircross is covered by a five-year, 120,000 km warranty, with 24-hour roadside assistance and one-year access to the SkyLounge at Subang Skypark. The Porsche 911 nameplate spawns a plethora of variants across each life-cycle, and the 992-generation model is no different in this respect. Here, we have spy images of the forthcoming Targa, identifiable by its metal-finish roll-over bar and rear windscreen in contrast with the more open structure of the 911 Cabriolet. Technical details for the 992-generation Targa have yet to be released, though the preceding 991 and 997 generations have employed all-wheel drive for the open-air two-door. Powertrain for such a configuration is already in place for the latest Neunelfer, where the Carrera 4S receives the latest iteration of the 3.0 litre flat-six biturbo producing 450 PS at 6,500 rpm and 530 Nm of torque from 2,500 to 5,000 rpm. From the daylight opening downwards, the 992-generation Targa appears production ready, with camouflage tape applied to where the ‘Porsche’ script is located on other variants already launched. Its bumpers at the front and rear appear identical to those on the aforementioned 992s (save for quad tailpipes on the red car seen here – also a production item), while brakes on both cars here appear to be ceramic units. After the 992 Targa makes its debut, the launch 4S model can be expected to be followed up at some point with a GTS variant, which, if current form is followed, should feature further aesthetic variations to go with its even greater performance. Not that the latest generation is exactly lacking in straight-line performance, with the Carrera 4S Cabriolet clocking 3.8 seconds to 100 km/h and a 304 km/h top end.